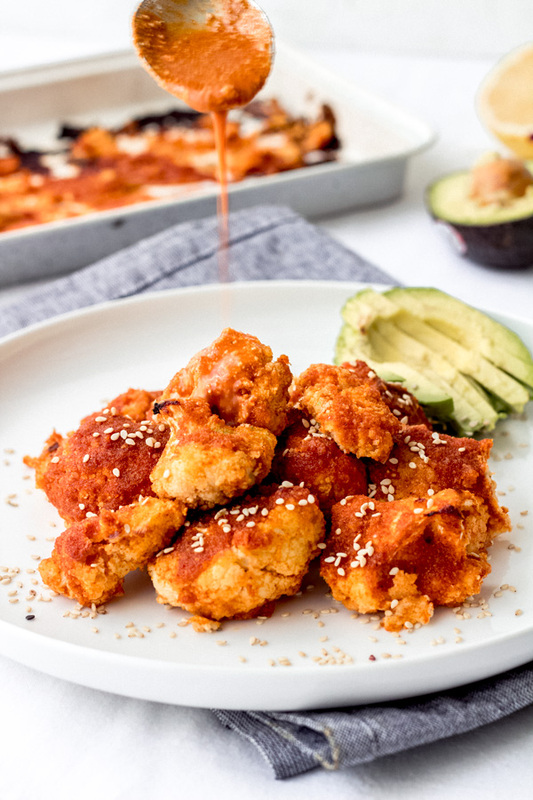 Are sweet and sour buffalo wings a thing? Or, must one choose either sweet 'n sour sauce orrrr buffalo sauce? I'm not really sure, however, I do know one thing ... it is a very very delicious combination. Of course, if you are not a fan of sweet flavor in your savory foods.. this is probably one recipe you may want to pass on. However, for the rest of us sweet-and-savory-palate-loving-people, this one's for YOU. Fun fact: Americans eat over one billion chicken wings just on Super Bowl Sunday. That's insane. I wonder how many cauliflower wings vegans eat on Super Bowl Sunday?! So, what makes *this* recipe unique and different from the rest? 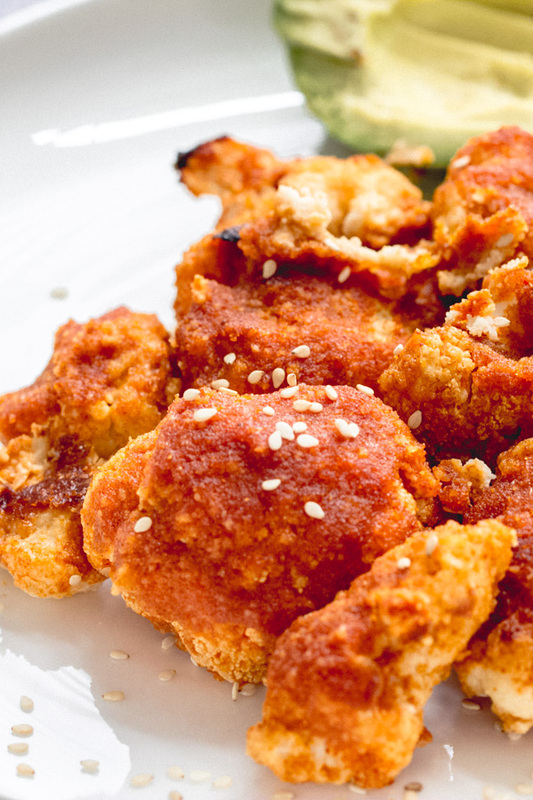 we're using almond flour to coat the cauli wings so it's automatically gluten free. absolutely no oil needed. Yay for that! super adaptable to your needs and preferences. Don't like spicy? Leave the cayenne pepper out. Want it sweeter/more sour? Add more agave or lemon juice. You get to be the chef. 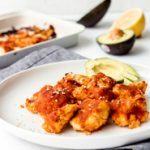 WFPB (whole foods plant based) approved: we're sticking with whole foods and leaving out all the processed junk that is usually found in many cauliflower wing recipes or store bought products. we're making our own sweet and sour spicy sauce from scratch - but you can always use a store bought alternative if you'd like. simple ingredients most of which you probably already have in your pantry/fridge. Have I convinced you yet to try these vegan sweet n' sour spicy cauliflower wings? 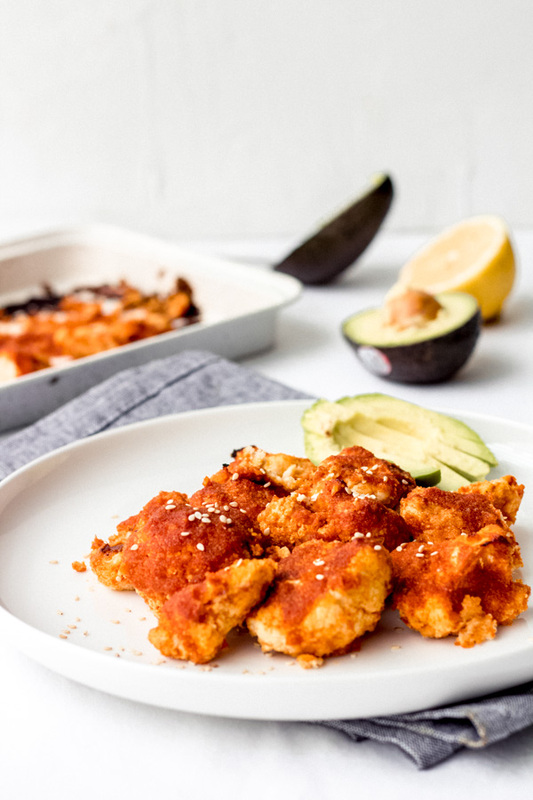 Make sure to save some extra sweet and sour spicy sauce to drizzle on top of the cauli wings right before you serve them. 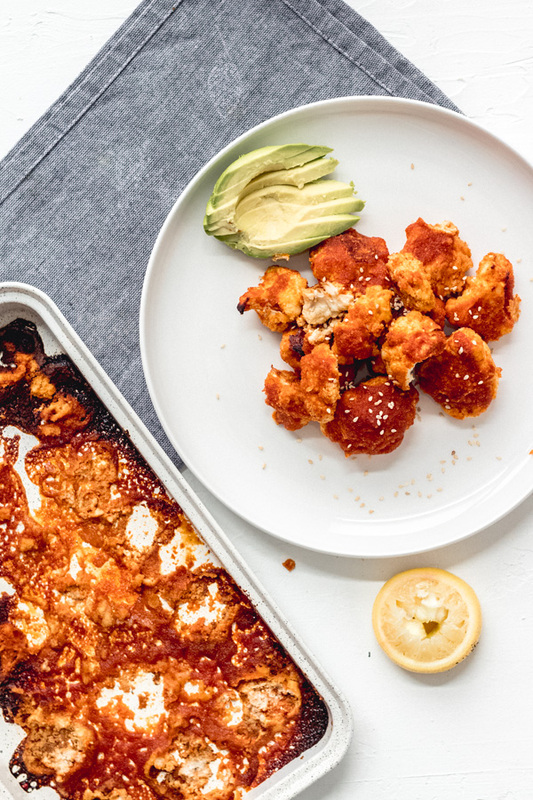 Be the change this year and don't contribute to that one billion chicken wing count - instead eat some cauliflower! Want to see more game day approved recipes? Check out these massive loaded vegan nachos.